On the way we stopped at mirror lake to trek for an hour and nother stop at a small lake to jump off a bridge (no thank you). 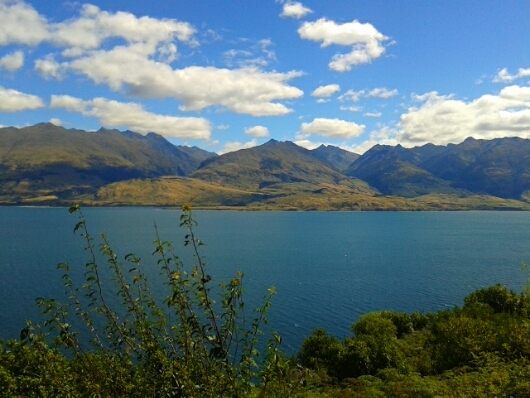 As we headed closer to Wanaka our driver gave us some warning that the south island views were about to change drastically. And boy was he right! From tree covered hills and farmland all of a sudden we found heaven on earth… the bluest lakes and panoramic mountains as far as the eye could see. 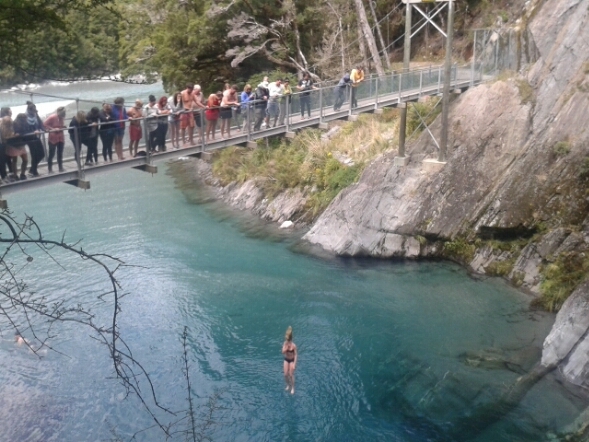 Look at the colour of the water!!! 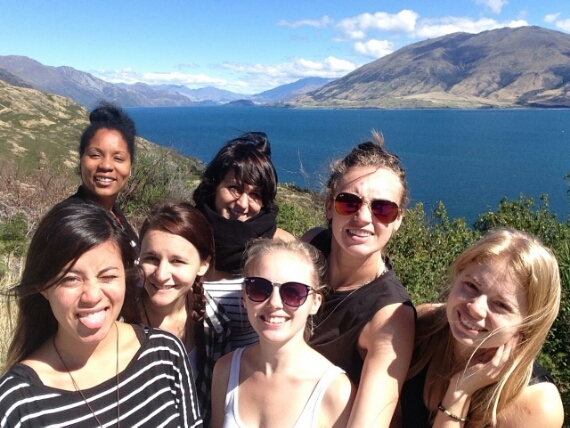 We only had one night in Wanaka… at the famous Base Hostel *shudders*. It’s just one night we told ourselves. Once again it was chaos at check in. Imagine 55 people arriving to a reception desk at once all trying to get served…no queues, no efficiency, then paying an overpriced fee for a below average room of 6. Mental! 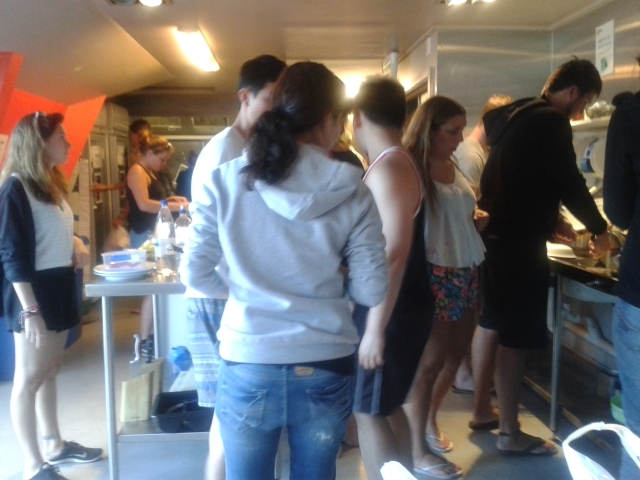 Cooking dinner in Base Hostel was lovely as usual… three working hobs and over 100 guests. 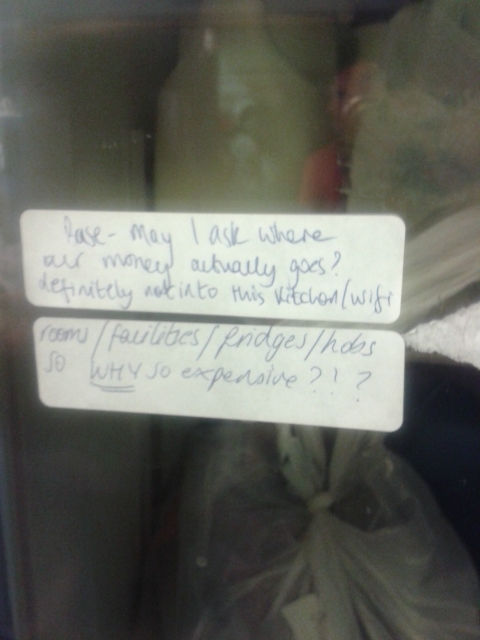 Base Kitchen...$32 a night for this? 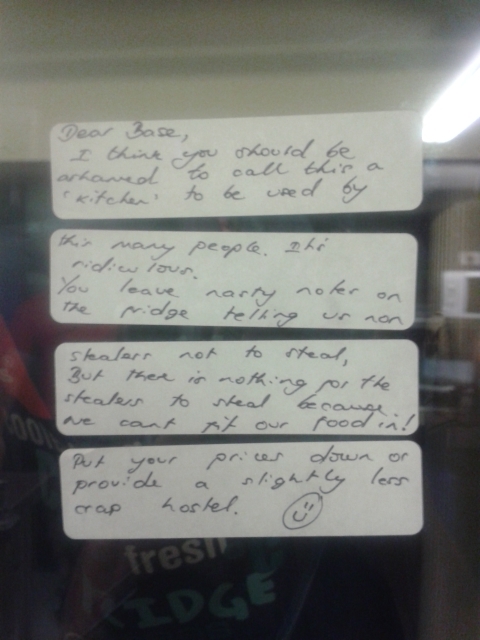 And it looks like we’re not the only ones who dislike Base from these messages stuck on the fridges. 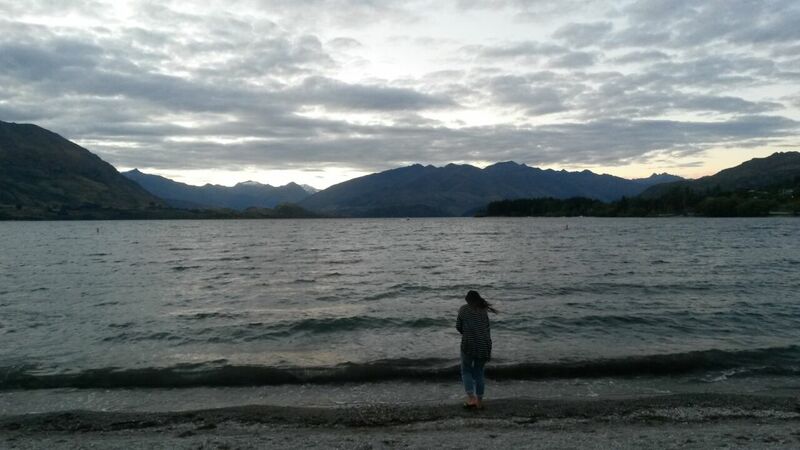 That evening we simply watched the sunset at Wanaka Lake and had an early night for Queenstown. 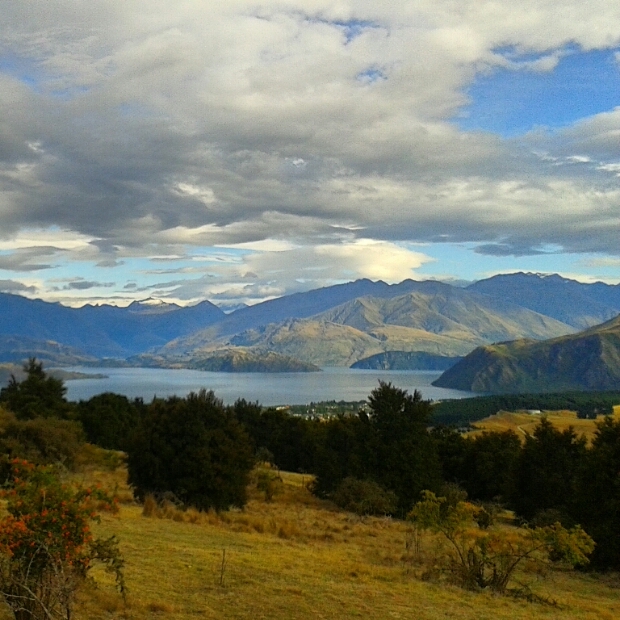 The following morning as we pulled out of Wanaka we had three options: 1. Go to puzzleworld 2. Chill in puzzleworld café 3. Climb mount Ion. I was not expecting this so I was in flip flops (with my walking shoes in the baggage compartment) but I really wanted to climb it! So my plan was to get up as high as I could that morning. 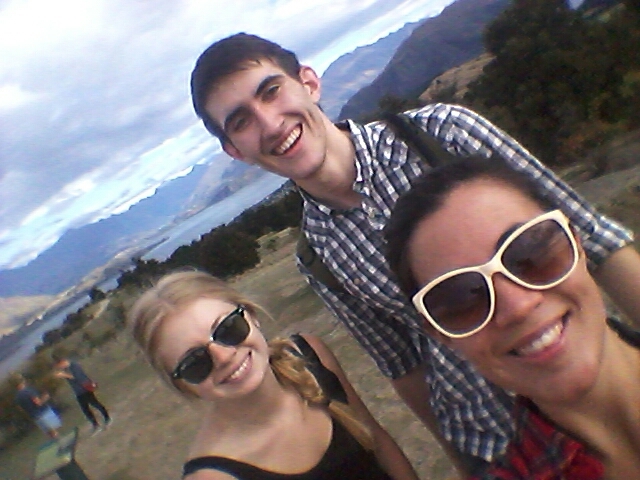 As I headed up alone I was soon joined by Toby and Chloe and we made it to the top in 45 minutes and it was totally worth it. 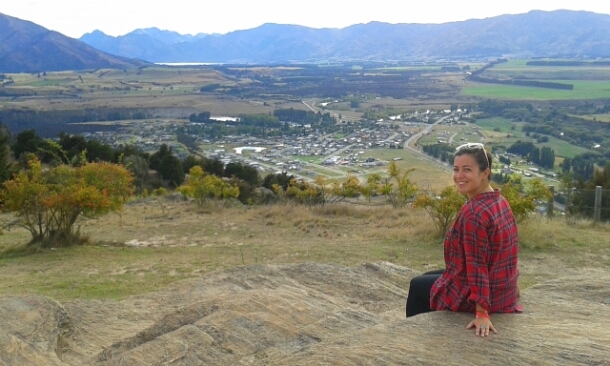 The views were by far my favourite of my travels so far. 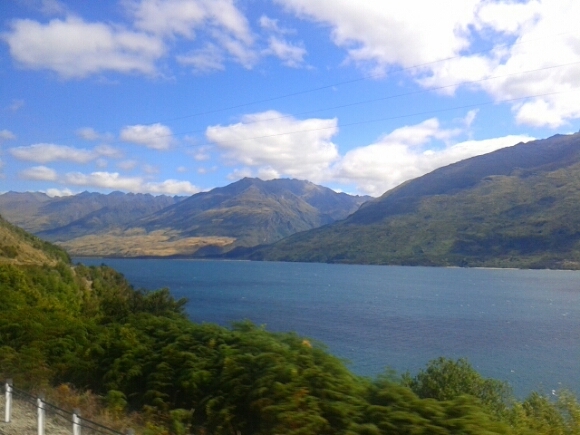 Whilst on the bus the driver informed us we were on highway 6 (the kiwi drivers talk a lot but they do spit out a lot of useful info at times usually when you’re trying to sleep). 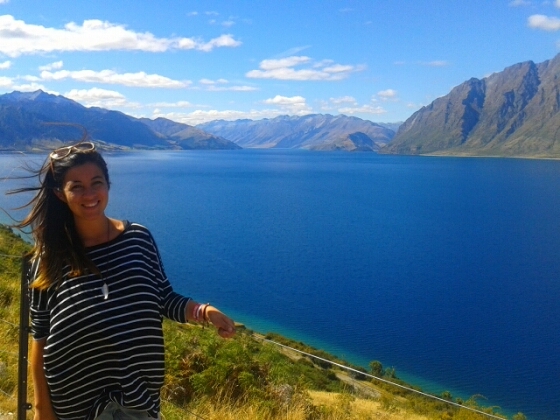 Highway 6 is the same road since we arrived on the south island. This country seriously is so easy to travel without a tour… there are hostels, campsites and hotels everywhere, the cleanest toilet stops I’ve ever seen and clear road signs (on the one road). 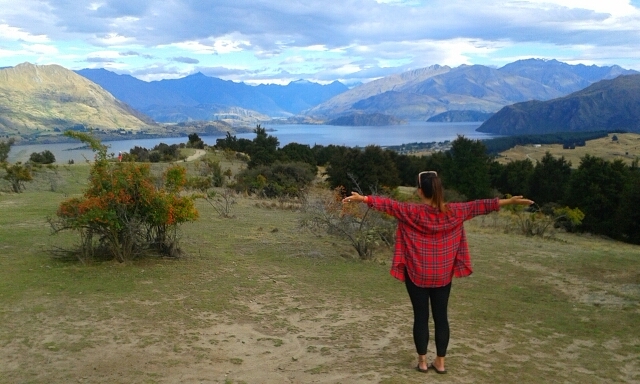 I’d love to come back to New Zealand one day with a family of my own and just travel and take my time – there is so much to see and one night in a place like this just doesn’t suffice. 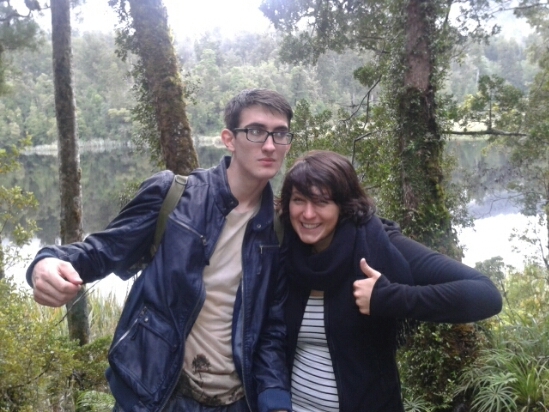 ← Franz Josef: Ice, Ice Baby!